Once there was river battle between the pirates and the Vosk town ships. 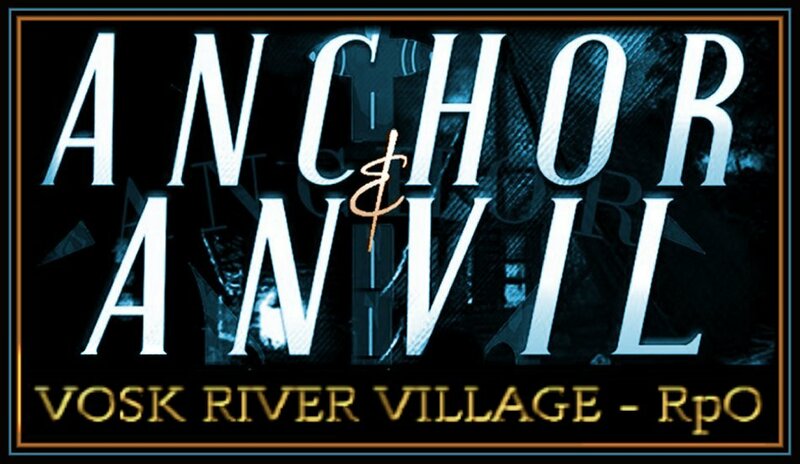 One of these towns is the Anvil and Anchor Village. The fleet of the Voskjard attacks the defending river town ships at the chain. The defenders are able to defeat and capture a number of the pirate ships though eventually some of the pirate ships do get past the chain. The defenders then disguise their ships, pretending to be Voskjard ships, and try to enter the stronghold of Policrates. His stronghold is guarded by an iron sea gate. The defenders though are permitted entrance and are then able to capture the fortress. They then wait for the remnants of the real Voskjard fleet to arrive at the stronghold of Policrates. When it does arrive, the defenders are able to destroy most of the Voskjard ships. But the pirate leaders, Policrates and Voskjard, remained at large. Policrates only had forty ships remaining and Voskjard only had twenty. They decided to attack Victoria anyways for vengeance. When they arrived in the town, it appeared deserted. They were then ambushed by the armed residents of Victoria. The pirates retreated to their ships but then found their escape route blocked by a fleet of ships from many of the river towns, some of these included those High Jarl Kayos Blacktear's Fleet from the Anvil and Anchor Vosk River Villiage, and Aide from his Cousin She'ara Coralerius' Harbinger Fleet Lead by her Companion Captian Luciean Coralerius in the Harbinger Pani Teahouse Inn & Rencer Camp they both own outside the Villiage. The pirates were defeated and captured. Both Policrates and Voskjard were enslaved and then sold. Their strongholds were burnt and destroyed. The stranglehold of the pirates on the Vosk had been broken. 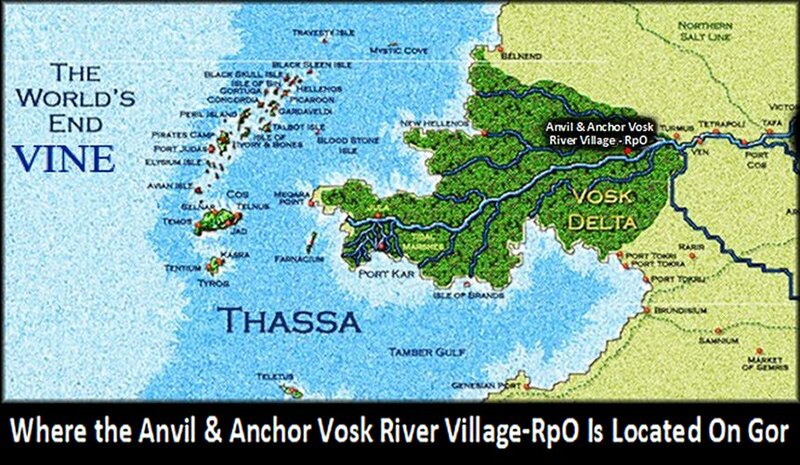 In 10127 C.A., after this battle, the towns on the Vosk River formed the Vosk League, an alliance to protect against piracy. These towns included Anvil & Anchor Village, Harbinger Pani Teahouse Inn & Rencer Camp, Port Cos, Victoria, Turmus, Ven, Tetrapoli, Tafa, Fina, Ragnar's Hamlet, Hammerfest, Sulport, Sais, Siba, Jasmine, Point Alfred, Jort's Ferry, Forest Port, Iskander, Tancred's Landing and White Water. The treaties were signed on the wharves of Victoria. Victoria was appointed the capital of the League and a High Council for the League was formed. Callimachus, once a Warrior of Port Cos, was appointed the Commander of the League's forces. THIS IS A GOREAN ROLE PLAY ROOM. IGNORANCE OF THE ROOM RULES LISTED BELOW WILL NOT BE TOLERATED AS A EXCUSE FOR RUDENESS OR CAUSE FOR YOU TO NOT BE RESPONSIBLE OF YOUR ACTIONS TO BE ANSWERED FOR. REMEMBER ALWAYS GOR IS A MAN'S WORLD & GOR CAN BE HARSH. --RULES # ONE: HIGH JARL KAYOS BLACKTEAR'S WORDS ARE THE HIGHEST LAW HERE ! HE HAS THE FIRST AND FINAL JUDGEMENT IN ALL MATTER. ENTRANCE INTO THE ROOM MUST BE ROLE PLAYED OUT HOW YOU GOT TO THE ANVIL & ANCHOR VILLIAGE, RpO. 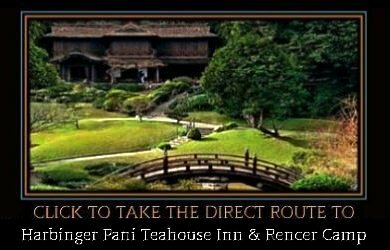 AND IT'S SUBROOMS: THE HARBINGER PANI TEAHOUSE INN & RENCER CAMP AND THE FORGE. NO RAIDS OR WARS ARE BEING ACCEPTED IN THE HOME AT THIS TIME. --RULES # SIX: ALL ARE WELCOMED, BUT YOUR BEHAVIOR DICTATES IF SUCH WILL REMAIN THAT WAY. A PROPER NAME IS REQUIRED TO ROLE PLAY IN THIS ROOM. If you com in as ANONYMOUS you will ONLY GET ONE WARNING TO TAKE A PROPER NAME, If you do not comply WILL BE BOOTED. NO PRIVATE MESSAGING (PM)ing WITHOUT ASKING FIRST DO SO IN THE OPEN. ALL RPO (ROLE PLAY OASIS) SITE RULES WILL BE FOLLOWED AND APPLIED! DRAMA WILL NOT BE TOLERATED. IF YOU ENTER WITH THE INTENT TO CAUSE DISRUPTION OR HARASS THE ROOM MEMBER & GUESTS. YOU WILL BE REMOVED. 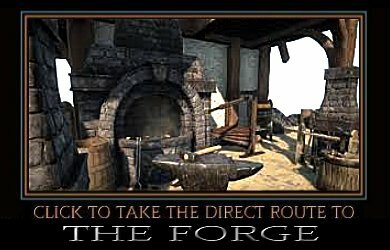 ALL DISPUTES WILL BE SETTLE AND DECIDED BY THE HIGH JARL. ALL SCRIPTS WILL BE POSTED ON THE FORUMS FOR DECISION & REFERENCE. MESSENGER ARE REQUIRED TO WEAR A YELLOW SASH TO COME IN AND DELIVER A MESSAGE. Deliver your message quickly and depart. IF YOU ARE GOING TO STAY, you must come in with your full gorean tags. REMEMBER TO BE MINDFUL THERE IS GOREAN ROLE PLAY GOING ON AROUND YOU. BE ADVISED SLAVES DO NOT RECIEVE PRIVATE MESSAGES , AND THINGS SAID BY A MESSENGERS MUST BE DONE IN THE OPEN OR WITH PERMISSION OF THEIR OWNER...PERIOD! IF YOU HAVE BEEN BANNED FROM THIS HOME. YOU WILL BE BOOTED ON SIGHT. FIRST, LAST, AND ONLY WARNING. IF IN DOUBT , REFER TO THE OUR BANNED BOARD ON THE HOME FORUMS LINK LISTED BELOW.